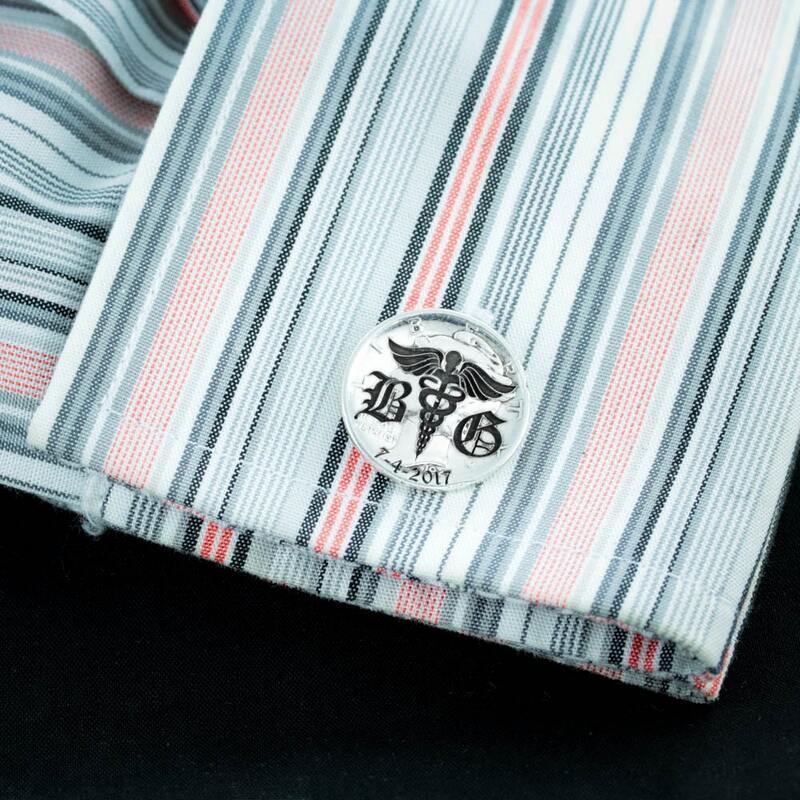 These cufflinks have the medical symbol of the caduceus with initials on both sides. We also will engrave a custom date on the bottom. They are made from the beautiful silver Mercury Dimes that were made in the US from 1916 to 1945. We have deeply engraved into the coins. The customization makes for a great gift that is very special and personal especially for that man of yours that is so difficult to buy for. 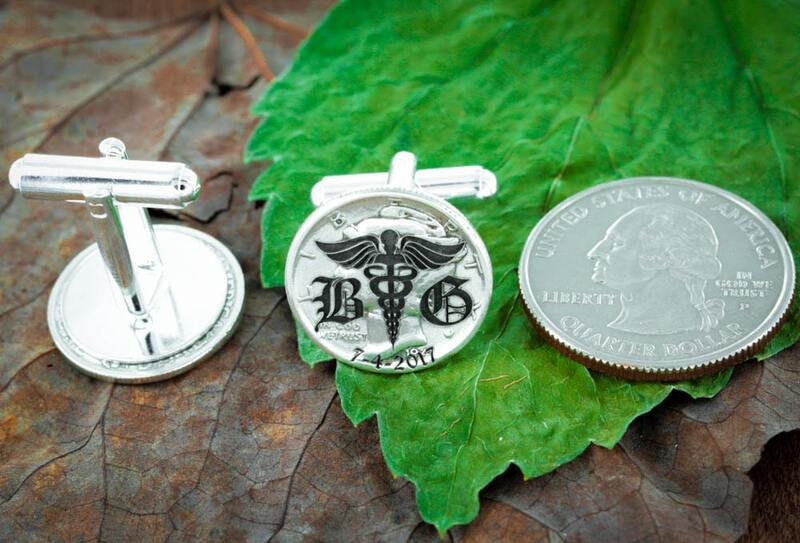 Just let us know in your order comments what date and what initials you would like us to engrave. 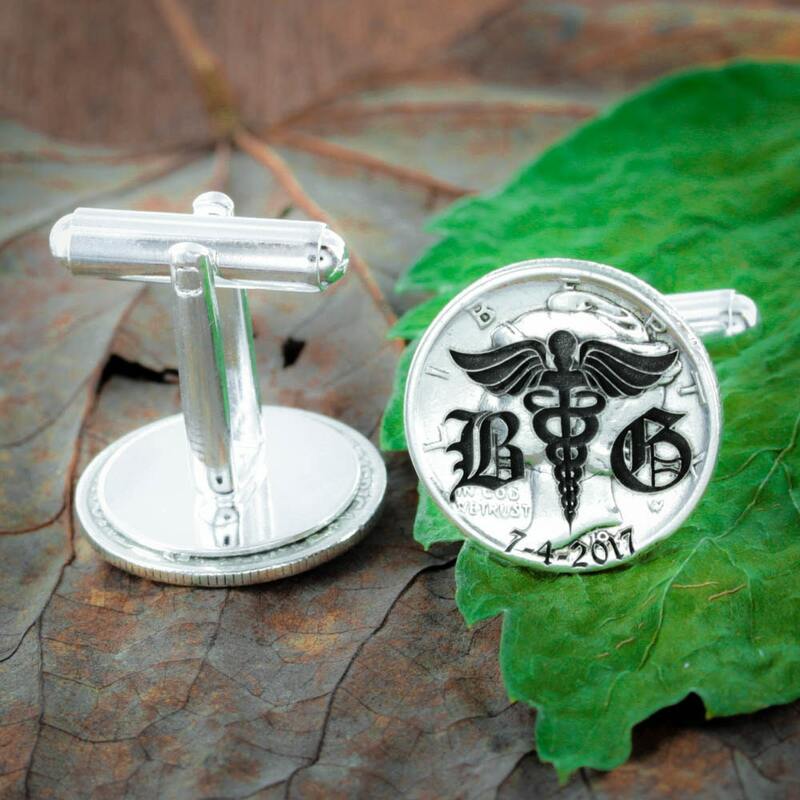 Beautiful cufflinks, quick and friendly service. Will definitely shop here again.